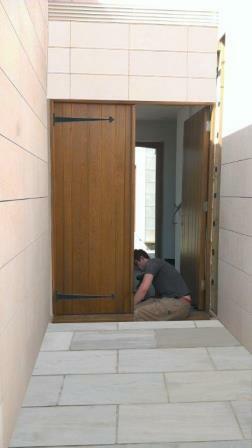 This house wanted to do something new; have traditional looking doors on a contemporary house; ie do the un-expected. 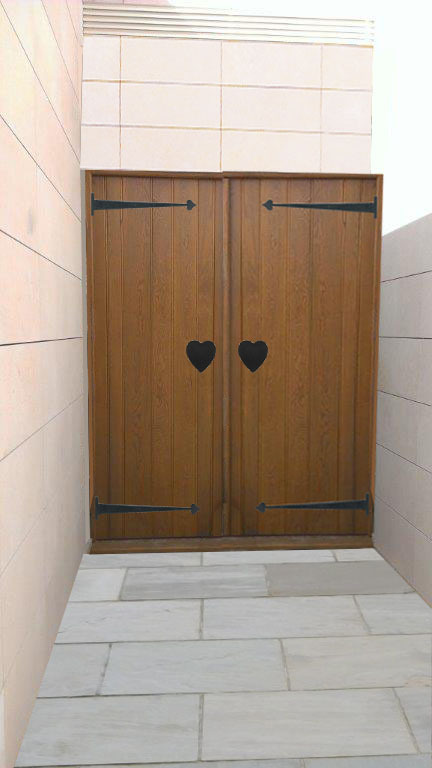 The new oak doors were given the Voysey treatment with long black strap hinges & oversized heart door plates. They do look very effective. We can design & produce a wide range of such bespoke joinery, including interior woodwork, from skirting boards, picture rails & ddoor architraves, all based on original Voysey detailing & measurements. Contact us to discuss your requirements.